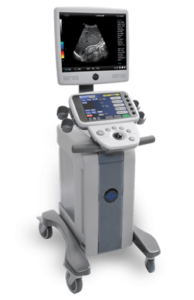 Prenatal Imaging Centers is a subdivision of Sonotech, Inc., a California corporation. Sonotech, Inc. is certified as an IDTF (Independent Diagnostic Testing Facility) and is overseen by medical directors and board certified radiologists. We are a preferred provider for all major insurance companies, such as Blue Cross, Blue Shield, Aetna, United Healthcare, Pacificare, Cigna and Medicare since 2005. Our respected staff of ARDMS registered sonographers have over 12 years of combined experience in multiple sub-specialties such as general ultrasound, vascular ultrasound and echocardiography, as well as extensive training in the art of 3D/4D imaging. We only use the most advanced and up to date, FDA approved, imaging systems. Our facilities operate under all of the necessary licenses, and in accordance with all applicable federal and state regulations and dedicated to upholding the highest standards of safety and accuracy. The quality assurance program is conducted on a regular basis to ensure that we meet and exceed FDA recommended standards and protocols. At Prenatal Imaging Centers we specialized strictly in 3D/4D elective ultrasound and we take pride in what we do. Our goal is to provide you with the greatest experience possible during this most memorable time of your life. You are pregnant and you have so many questions: Is it a boy or a girl? What are we going to name our baby? Which parent is she going to look like? What is my baby doing? What is the personality of the baby I am carrying? A 3D/4D Ultrasound session can help answer all of these questions for you! There is so much to see: your baby might be moving around, stretching, yawning, smiling, sucking his/her thumb, even blinking, and you have the chance to catch it all on video! Your baby’s activities are recorded on DVD so you can share and enjoy it with your family as many times as you want. The best moments are captured as video clips and pictures. Who thought that you could start your baby album even before your baby is born. – Helps discover the baby’s personality, as well as bringing out the physical features. Enjoy your pregnancy! See your baby in 4D now and cherish the memories! This first of its kind software results in more comprehensive and incredibly realistic imaging with improved visualisation of baby’s skin tones and shading. You’re going to remember this for a lifetime – make it the best! Our theaters are designed with comfort in mind – for both moms and guests! From the tempurpedic bed that mom gets to enjoy, to the theater seating and the industry leading technology, our 3D/4D ultrasound theater is outfitted to create the best possible experience. Special TEMPUR-Cloud® Supreme beds for mom! Why limit yourself to that exam table in your doctor’s office when you can enjoy a comfy bed that’s so relaxing, you may just want to snooze! Fun theater viewing rooms with plentiful seating to accommodate 15 or more guests. Our spacious viewing rooms can accommodate more guests (we have enjoyed as many as 25 guests). All seats have perfect, elevated views of the 4D ultrasound on three screens. No kinked necks! It’s like going to the movies! Parents-to-be and guests will watch your baby perform on two 60 inch flat screen TV monitors. Serving Los Angeles and Orange county, our 5-Star facilities are conveniently located on Ventura Blvd in Tarzana. PIC Tarzana is easily accessible from the 101 freeway with Reseda exit if you are traveling from south or east, and Tampa exit if you are coming from north or west. Gather your friends and family and come to our 3D/4D theaters to meet your precious little miracle! Our theaters are the best, and we’ve had families travel as far as Palmdale, Torrance, Oxnard, Marina del Ray and practically all cities in Southern California, just to experience our beautiful facilities for themselves. Your going to be amazed! When choosing a facility for just about any service, there are a lot of common factors you look into when making your choice. You might consider the pricing, quality, customer service and location. In the case of ultrasound imaging, however, you should keep in mind that you are receiving a service with prescription medical equipment, so simply having the lowest prices and a few online reviews shouldn’t do it for you. Particularly, when choosing a facility for prenatal imaging, make sure that it has a medical oversight, the staff is properly certified and trained, and that it’s not just another “prenatal photography studio”. Some other things you might want to consider are: the types of of packages offered and the items included, the facility’s policy for return visits if you are unable to see your baby’s face, and policies regarding family members and friends in the viewing room. But most importantly, find a place that makes you feel comfortable with a staff that understands your specific needs and concerns, and employs sonographers that are experienced in ultrasound procedures for medical purposes, not simply limited to elective prenatal imaging. We recommend that you wear comfortable clothing, preferably two-piece. Remember, our sonographer will need to access your abdomen during the 3D/4D ultrasound session. To help you obtain the best pictures, be sure to drink plenty of water and other fluids 4 to 5 days before your appointment. Hydration can increase the amniotic fluid and improve the clarity of your ultrasound. You don’t need to have a full bladder. The nine months of pregnancy can be really stressful – each day is full of anticipation and mystery. A 3D/4D ultrasound helps you capture some of that excitement and alleviate some of your stress. This technology produces a recognizable face of the baby that lives in the heart of every mother and father, that’s why so many parents are choosing 3D/4D baby ultrasound imaging. It’s more affordable than you might think, and every bit is as wonderful as you have heard! Here at Prenatal Imaging Centers, we offer you a very soothing and comfortable atmosphere where you can experience this wonderful bond between you and your baby. Our sessions are dedicated to you and your family. We take our time with every scan to give you the most enjoyable experience possible. Our ultrasound machines are capable of providing some of the clearest images you will ever find. SEE YOUR BABY LIVE IN 4D!